This year I've been making a commitment to improving various parts of myself, and my life in general, and one of the most important thus far has been getting healthy and getting fit. 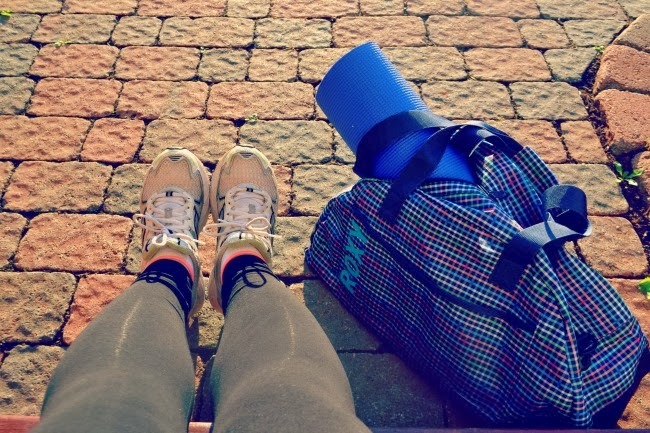 Earlier in the spring I embarked upon the couch-to-5k program (which I highly, highly, highly recommend for anyone getting into running, or getting back into it, like me! ), successfully completed it and am now working towards a 10k. The crucial part? Great music to keep me motivated. Nothing spurs you on to run those last few metres than a tune like this one, or also this one. Yeah, admitedly I listen to embarassing music when working out - don't judge! It's all about keeping things fun! I've still got a long way to go as far as getting to where I'd like to be health-wise, but progress is being made, and it feels good! I don't know about you, but for me, working out is more fun when you have cute work-out clothes, and lately I've been picking up a myriad of activewear pieces at Joe Fresh for just that reason. Current loves? 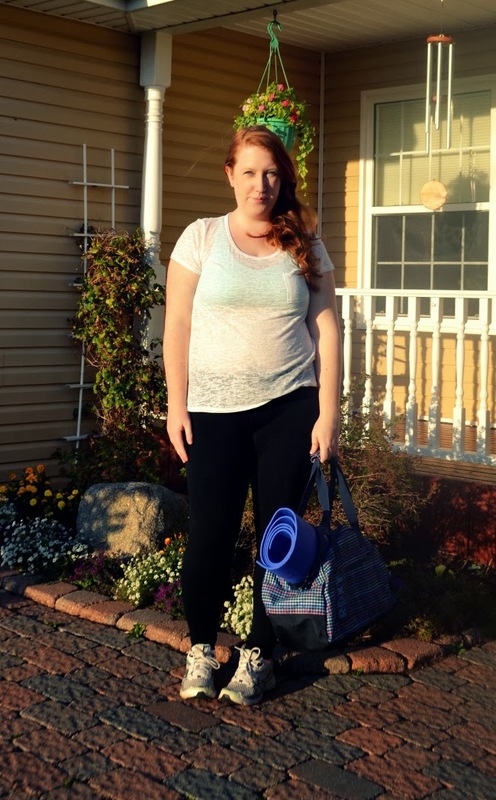 Their range of burnout tees and piped yoga leggings: so incredibly comfy! Another new addition is this Roxy bag from Surfdome, that was a much needed replacement to my old workout bag. I've been a Roxy fan since junior high at least, so I was excited to check out Surfdome's offerings. I finally decided upon this multicoloured plaid print hold-all and now that fall is officially upon us and it's not too hot for a run at lunchtime, I can honestly say that it has become a total lifesaver for toting workout (and post-run shower) gear back and forth to the office. Definitely a win in my books. How are you keeping fit this fall? Let me know in the comments! Loving the colourful bag! So fun!